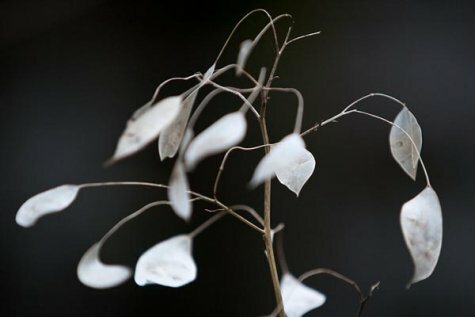 Finding the pale airy seed pods of the perennial honesty in the cliff forests and fresh mixed forests in eastern Estonia is a pleasant surprise. The pods, or in botanic terminology siliquas, that were still rather dark in early autumn have bleached to a beautiful silvery white colour. The first finds of the species on our cliff banks are from the beginning of the 18th century. Perennial honesty has an upright stem, sometimes even growing over a metre tall; the stem branches in the top. The large, elliptical, flat and decorative hanging pods develop from the flowers in late autumn-early winter. The protected plant should not be picked.